Shura’s debut album showcases her talent as a writer, singer and producer. It’s an eclectic mix of genres: from electronic, lush R&B slow jams, stripped back guitar rock, to 80s glam pop and even trip-hop. Though the young singer/producer hasn’t overreached by trying her hand at so many different genres, at times the album feels like a collection of her various projects and (albeit successful) experiments. 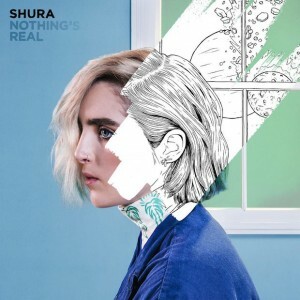 Yet a strong theme of autobiographical archiving and coming-of-age runs through the album and gives us a compelling first glance at Shura’s personality. This entry was posted in Reviews and tagged derek colley, electronic, Pop, r&b, shura on July 20, 2016 by CKUT Music Coordinator.